Add a little extra zing and excitement to towing your tubes! 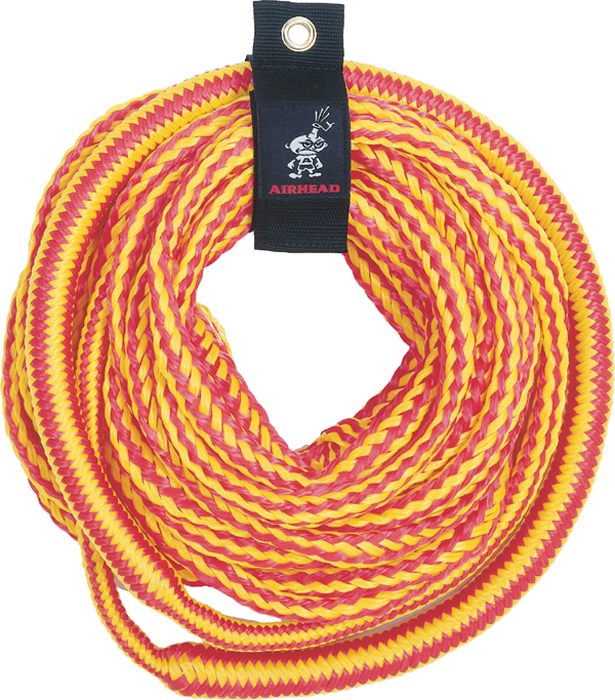 This 9/16" x 50 ft. tube rope has a 3/8" diameter bungee cord spliced inside rated at 4,150 pounds tensile strength. You’ll enjoy brief surges of speed as the bungee stretches and contracts. It reduces wear and tear on tubes and riders too, by absorbing sudden jerks from slack in the line. A Rope Keeper is included for convenient storage. Ok so far. Please ship fast.